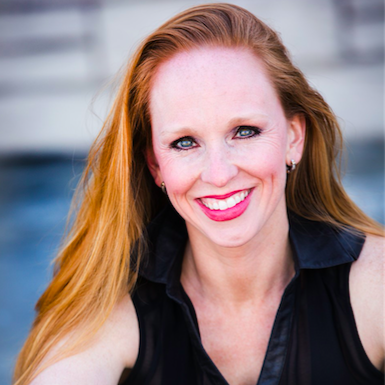 Julie Kay Stallcup is a nationally recognized leader in dance education. Her seminars and engaging keynote addresses are sold out at dance teacher conferences and conventions across the country. Her success is a result of integrating high-quality, rigorous dance training, and a commitment to mentor each and every dancer with integrity and compassion. In 2006 Julie and her husband Darrell opened their own studio, Revolution Dance Center, in Southern California and she has been able to foster commitment to these ideals as the foundation of not only her dance company, JKDC, but its host studio, RDC. Since opening, Julie has assembled a faculty and staff that share an exceptional work ethic and dedication to their dancers and the art of dance. Revolution Dance Center’s service project group, Chasing Butterflies conducts community service projects year long. Whether it’s aiding the indigent population on LA’s Skid Row, supporting various local non-profits, or taking global action by traveling to Haiti, Julie Kay nurtures the spirit of collaboration by giving back to the community, enriching the lives of all those involved. Julie Kay has taught at the Dance Life Retreat Center for Rhee Gold, Dance Teacher Web Live for Steve Sirico, Dance the Magic Debi Barr, Hollywood Dance Jamz Barry Youngblood, La Dance Magic Jackie Sleight, Encore Performing Arts Dance Competition Caron Moore, Dance Teacher Network Convention and is now honored to be a part of the Dance Ideas Seminars. Julie Kay is certified in teaching special needs children dance through the Rhythm Works Integrative Dance method and volunteers at The Rose Bowl Aquatics Center, Glendale Unified School District and The Pasadena Pioneer Club teaching dance to special needs dancers. As a dance professional, Julie Kay performed as a Las Vegas showgirl at the Stratosphere Hotel & Casino in the hit show “American Superstars”, a magician’s assistant in the Kirby Van Burch Magic Show in Branson, MO and has also danced with the American Basketball Association’s dance team in Los Angeles, “The L.A. Stars”. Julie Kay has choreographed for short films and children’s choirs. Check out her education page at https://www.facebook.com/juliesdanceducation/.